The Lovely World of the English Language: Do You Know the Origin of These Words and Phrases? DO UP BROWN – 1. To swindle, victimize, trounce, or defeat (someone) thoroughly. 1824 in Partridge. He is said to be “cooked,” or “done brown” and “dished.” 2. To do (something) thoroughly, excellently, or perfectly. 1843 in G. W. Harris “High Times” 29: Those are places where things are done up brown! From “Random House Historical Dictionary of American Slang, Volume 1, A-G” by J.E. Lighter, Random House, New York, 1994. DO IT UP BROWN – “Do something well; do it to one’s satisfaction. In England the phrase has had the meaning of deceive or take in. Either way, it carries the implication of doing something thoroughly and probably comes from the roasting of meat, yielding a brown color that is the result of thorough cooking. One can see the term in the making in ‘Liber Cure Cocorum’ (1430)” ‘Lay hur (the goose) to frye and rost hyr browne. '” From the “Dictionary of Cliches” by James Rogers (Ballantine Books, New York, 1985). Shiner ~ We generally think of a “shiner” as a “black eye.” According to the Urban Dictionary, the term is of Irish origin where it was a punishment for not keeping machinery shiny. The punishment was delivered via the boot of a British officer. Answerbag states the word is derived from the derogatory word “shiner” meaning a black person. The dates given in Etymonline (which was 1904) make this quite plausible, but Green’s Dictionary of Slang dates the first usage of “shiner” for black eye at 1797, which would tend to militate against this etymology. Between Cup and Lip ~ From Hog on Ice by Charles Earle Funk (page 95), we find “Four centuries ago the saying was “between cup and mouth,” at least it is so recorded in Prouerbes or Adagies, by Richard Taverner, published in 1539: ‘Manye thynges fall betweene ye cuppe and the mouth.’ The saying itself, however, is much older than that, for Taverner was merely translating into English the Latin collection of adages, Chiliades adagiorum, published by Erasmus in 1508. In one form or another, it is found in many languages. Usually, in English, the saying occurs in the form of a proverb, ‘There’s many a slip between cup and lip.’ …Eramus wrote it, ‘Multa cadunt inter calicem supremaque labra,’ but it is believed he took it from Greek. 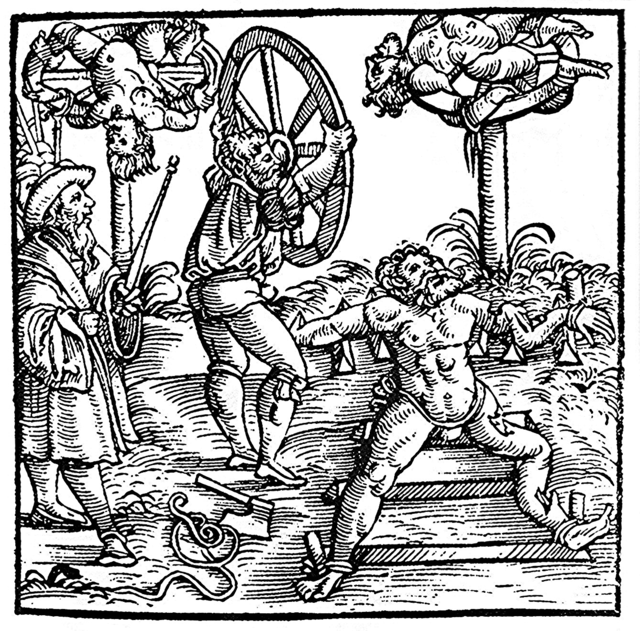 Breaking Wheel ~ The breaking wheel, also known as the Catherine wheel or simply the wheel, was a torture device used for capital punishment from Antiquity into early modern times for public execution by breaking the criminal’s bones/bludgeoning him to death. As a form of execution, it was used from “Classical” times into the 18th century; as a form of post mortem punishment of the criminal, the wheel was still in use into 19th century Germany. Pieter Spierenburg mentions a reference in sixth century author Gregory of Tours as a possible origin for the punishment of breaking someone on the wheel. In Gregory’s time, a criminal could be placed in a deep track, and then a heavily laden wagon was driven over him. Thus, the latter practice could be seen as a symbolic re-enactment of the previous penalty in which people were literally driven over by a wagon. The breaking wheel was also known as a great dishonor, and appeared in several expressions as such. In Dutch, there is the expression opgroeien voor galg en rad, “to grow up for the gallows and wheel,” meaning to be destined to come to no good. It is also mentioned in the Chilean expression morir en la rueda, “to die at the wheel,” meaning to keep silent about something. The Dutch expression ik ben geradbraakt, literally “I have been broken on the wheel”, is used to describe physical exhaustion and pain, like the German expression sich gerädert fühlen, “to feel wheeled,” and the Danish expression “radbrækket” refer almost exclusively to physical exhaustion and great discomfort. In Finnish teilata, “to execute by the wheel,” refers to forceful and violent critique or rejection of performance, ideas or innovations. The German verb radebrechen (“to break on the wheel”) can refer to speaking incorrectly, for example with a strong foreign accent or with a great deal of foreign vocabulary. Similarly, the Norwegian radbrekke can be applied to art and language, and refers to use which is seen as despoiling tradition and courtesy, with connotations of willful ignorance or malice. In Swedish, rådbråka can be used in the same sense as the English idiom “rack one’s brain” or, as in German, to mangle language. The word roué, “dissipated debauchee,” is French, and its original meaning was “broken on the wheel.” As execution by breaking on the wheel in France and some other countries was reserved for crimes of particular atrocity, roué came by a natural process to be understood to mean a man morally worse than a “gallows-bird,” a criminal who only deserved hanging for common crimes. He was also a leader in wickedness, since the chief of a gang of brigands (for instance) would be broken on the wheel, while his obscure followers were merely hanged. Philip, Duke of Orléans, who was regent of France from 1715 to 1723, gave the term the sense of impious and callous debauchee, which it has borne since his time, by habitually applying it to the very bad male company who amused his privacy and his leisure. The locus classicus for the origin of this use of the epithet is in the Memoirs of Saint-Simon. In English, the quotation “Who breaks a butterfly upon a wheel?” from Alexander Pope’s “Epistle to Dr Arbuthnot” is occasionally seen, referring to putting great effort into achieving something minor or unimportant. Desultory ~ Etymology: From Latin desultorius (“hasty, casual, superficial”), from desultor (“a circus rider who jumped from one galloping horse to another”), from dēsiliō (“jump down”), from dē (“down”) + saliō (“jump, leap”). It means “jumping, or passing, from one thing or subject to another, without order or rational connection; without logical sequence; out of course; by the way; as a digression; not connected with the subject; disappointing in performance or progress; (obsolete) leaping, skipping or flitting about, generally in a random or unsteady manner.” It is said medieval soldiers (if two horses were available) would jump from one horse to the other when the first had become weary. **Quiz started out meaning a person who was really odd– like wearing outmoded clothes or being wildly eccentric in clothes. Then it started meaning to tease a little or to inspect with a Quizzing Glass. It is not in the ordinary dictionary of 1815. In 1796, it meant to mock or make fun of. Before that, in 1749, it was an eccentric person. This entry was posted in etymology and tagged English language, etymology, word choices, words and phrases. Bookmark the permalink. 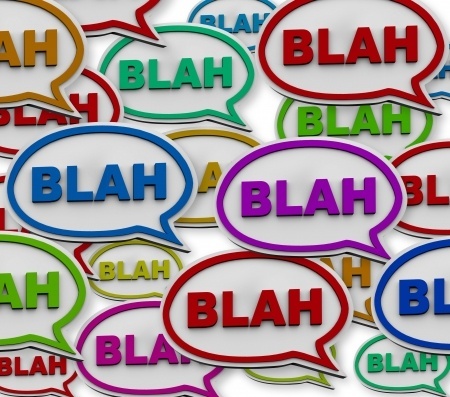 4 Responses to The Lovely World of the English Language: Do You Know the Origin of These Words and Phrases? I love the word ‘nodcock’. Some years ago I recall reading that an Englishman took a wager that he could invent a new word that would become part of the language. The word was ‘quiz’, and what he did was to go around the streets of London and in chalk or whatever he had he would write those four letters on walls, footpaths anywhere that it would catch the peoples eye and gain attention, he did this for some time and it became quite a guessing game as to what the letters stood for, of course they stood for nothing at the time but it soon became the word for a quiz. is this a Ripley or not?